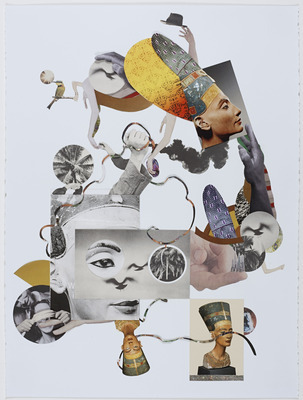 Sunday 1/15: Collage Portraits with The Laundromat Project! 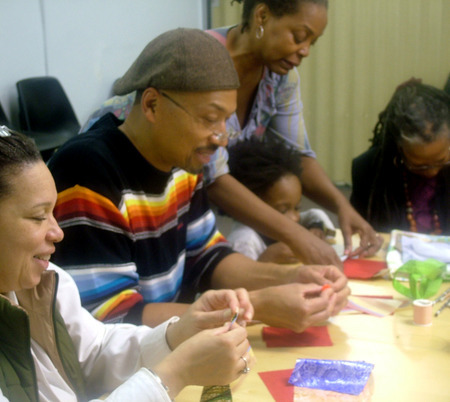 Paying homage to artist Romare Bearden and civil rights leader Dr. Martin Luther King, Jr., The Laundromat Project presents a portrait workshop that asks participants to employ Bearden’s iconic collage technique to create a portrait of the person that they aspire to be. Using some of Dr. King’s quotes as a source of inspiration, completed portraits will integrate color, Xerox copies, magazines, and textiles to creatively illustrate a figurative image that includes the qualities each participant wishes to embody in 2012. Enjoy an interactive and informative tour of Collected. Ritual led by a knowledgeable Museum educator. Collected. Ritual explores the performative and process-oriented aspects of making art and examines ritual as an act of special and sometimes mythical significance. 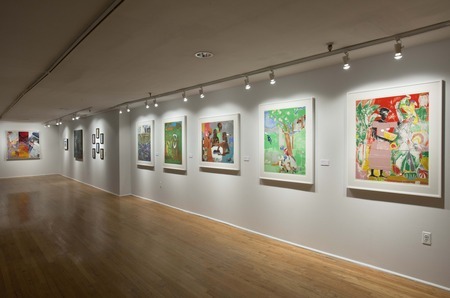 The works in this exhibition were chosen for the innovative ways in which the artists engaged with ritual—including through studio art-making and artistic practices that use symbolic actions. The tour will have something for everyone: adults, families and kids of all ages are welcome! Join fiber and quilt artist Ife Felix for the second (of three) quilting workshops where participants will contribute to a community quilt. Participants will learn how to sew fabric swatches together and will assist with the stitching and construction of the quilt. Don’t miss this opportunity to contribute to the quilt and to celebrate creativity, culture and community. Irans threat to close the Strait of Hormuz is a promise of heart attack for the worlds economy and a challenge for military planners. Yesterday, Iran doubled its taunt by sentencing a former marine with dual Iranian-American citizenship to death, for spying. The moves set up America and its Western allies for a confrontation with Iran. A clash would be the third armed conflict after Iraq and Afghanistan. The former two began triumphantly until they transformed into quagmires. How is a new conflict likely to evolve? Iran has used American hostages in the past to extract money. Whether it crosses this line to execute the 28-year-old Amir Mizraei Hekmati, who served in Iraq, remains to be seen.